Mr. Howieson earned an MFA from Carnegie-Mellon University in Technical Production. 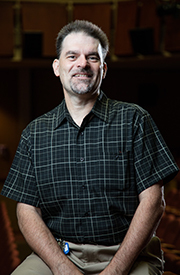 He has previously held faculty positions in the theatre departments at the University of North Carolina, Greensboro, the University of Florida, and the University of North Carolina, Charlotte. His professional credits include the Grove Shakespeare Festival in California, Great Lakes Theatre Festival in Cleveland, Minnesota Opera in Minneapolis, and Sea World of Ohio. As a technical director, he has over 175 shows to his credit. Mrs. Campbell graduated in 2008 with a B.A. in Theatre Arts from Christopher Newport University, where she studied Design and Technical Theatre. While originally intending to pursue a career in acting, she fell in love with the production side of theatre. Shortly after finishing her B.A., she received her M.Div. in Christian Ministry from Southeastern Baptist Theological Seminary. 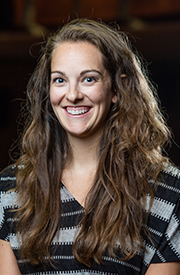 Her passions are theatre and ministry, and she loves working at Liberty because she feels that this is a place where those two passions converge. Mrs. Campbell has spent the last 5 years designing lights and programming for the Liberty University Theatre Arts Department. She currently holds the position of Assistant Production Manager, where she manages the logistics for making a design concept a reality. She received a National Nomination for her lighting design of Guys & Dolls and for her overall design work on Everyman. Kathryn Voelker, originally from Minnesota, is a professor in the School of Music at Liberty University. Dr. Voelker has performed as a flautist and conducted ensembles in Europe, China, and across the United States. She has also worked extensively as an accompanist, and been in demand as a music director at professional and regional theaters in New York, Colorado, and Pennsylvania. In 2011 she was Music Director of the Amici Opera Company in Philadelphia under impresario Raffaele Tudisco, where she performed on piano 18 operas in a single season. Her recent doctoral dissertation focused on the musical theater style of Jason Robert Brown, and she frequently performs and lectures on his musicals. Dr. Voelker also spent three wonderful years teaching high school in Pennsylvania at the Lehigh Valley Charter High School for the Performing Arts and Faith Christian School. There, she taught band, orchestra, choir, music history, music theory, and musical theater. 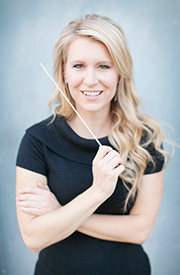 She holds a DA in wind conducting from the University of Northern Colorado. Dr. Voelker received a Bachelor of Music in Piano Performance from Bethel University in Saint Paul, MN, and a MA in Music Education at the Eastman School of Music in Rochester, NY. In the summer of 2017, she was the music director for the Lyric Opera program in Piobbico, Italy, a program designed to train students in dramatic musical performance. At Liberty, Dr. Voelker directs the University Band and teaches courses in music theory, music education, and applied piano. Recent credits with the Alluvion Stage Company include Sister Act, Beauty and the Beast, The Hunchback of Notre Dame, and Big Fish.